If life is a series of moments, then life can be defined as a series of endings. Think of an old job, or an old relationship. Often your overriding memory will be weighted towards how it ended. However, in London's Olympic Stadium on Saturday (I refuse to call it the London Stadium on general principle) around 60,000 people witnessed a finale that was definitive, but not defining. This only happens when a career is so seismic that the final curtain doesn't supersede the show that came before it. And when it comes to a show, nobody does it like the showstopper himself; Usain Bolt. 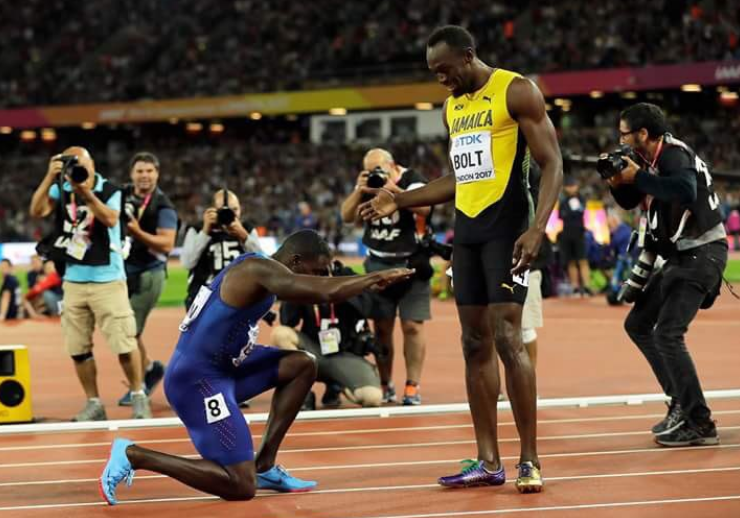 In a conclusion that was as dramatic as it was unexpected, the London crowd were left thunderstruck as Bolt was beaten in a global championship final (his 2011 false start notwithstanding) for the first time since 2007. The rest of this piece can be read on Media Diversified.